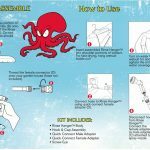 The RINSE HANGER is an innovative new product that functions as a shower for your wetsuit. 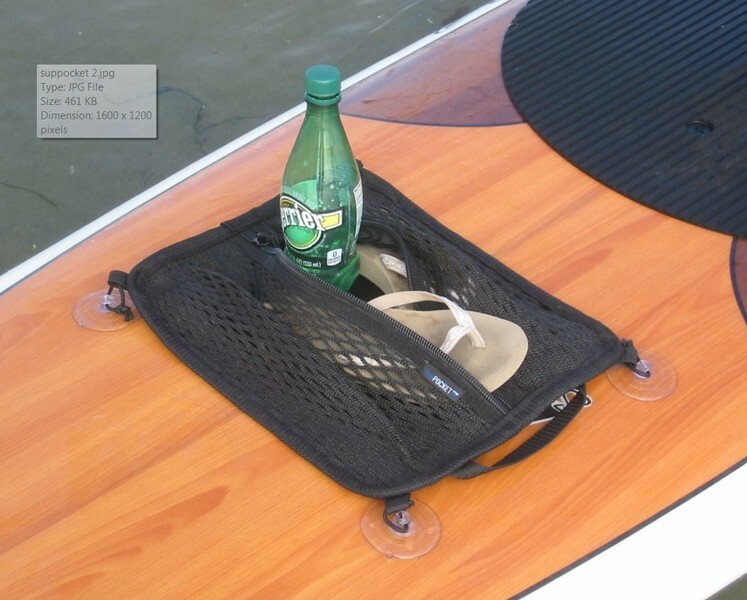 The key features include a 4 inch wide body, a removable swivel hook, and rinse capability. 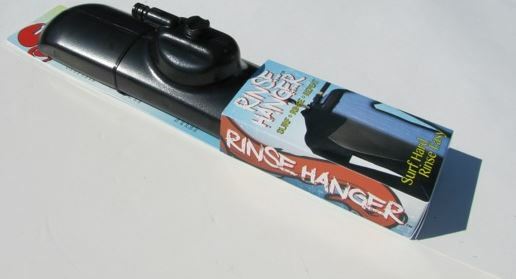 It’s the ONLY available hanger with rinse capability! 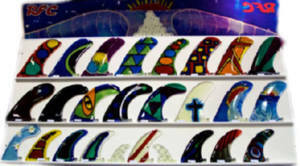 The RINSE HANGER works with most wetsuits, such as surfing, diving, spearfishing and triathlon wetsuits. 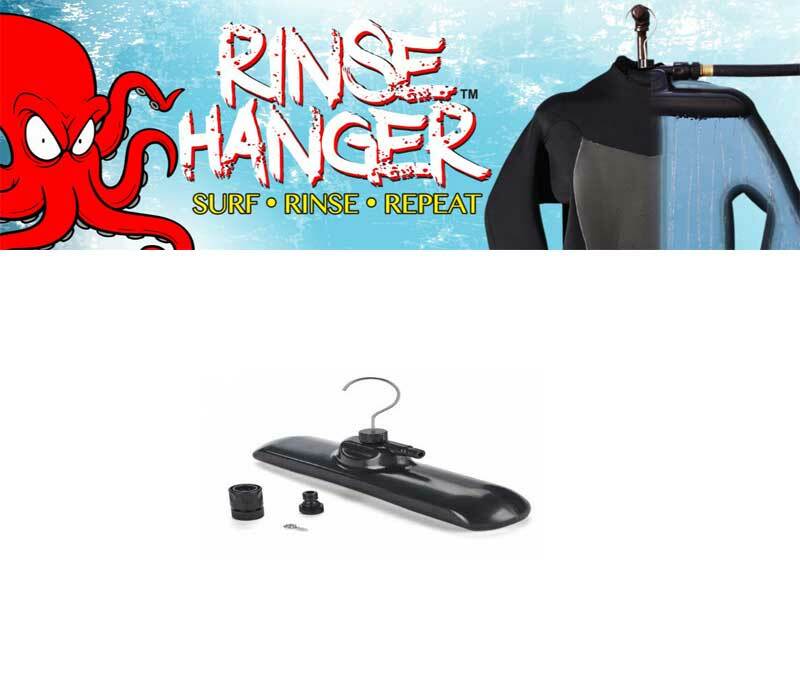 We have tested the RINSE HANGER with wetsuits up to 7mm and were happy with the results. 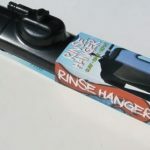 The RINSE HANGER provides a convenient way to rinse, dry and store your wetsuit. 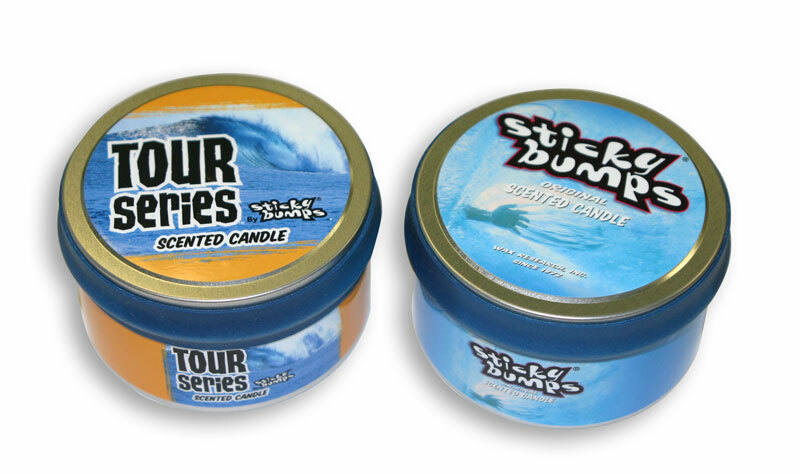 No more filling buckets with water. 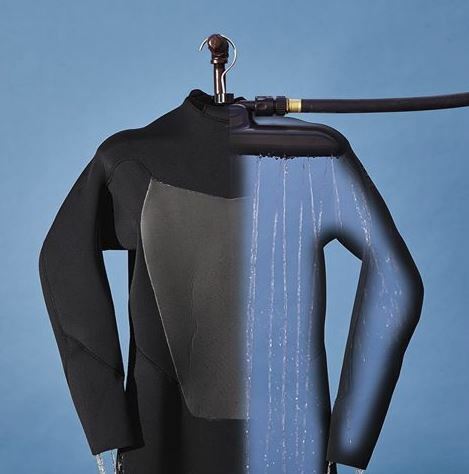 No more flip-flopping and inside-outing your wetsuit on the pavement. 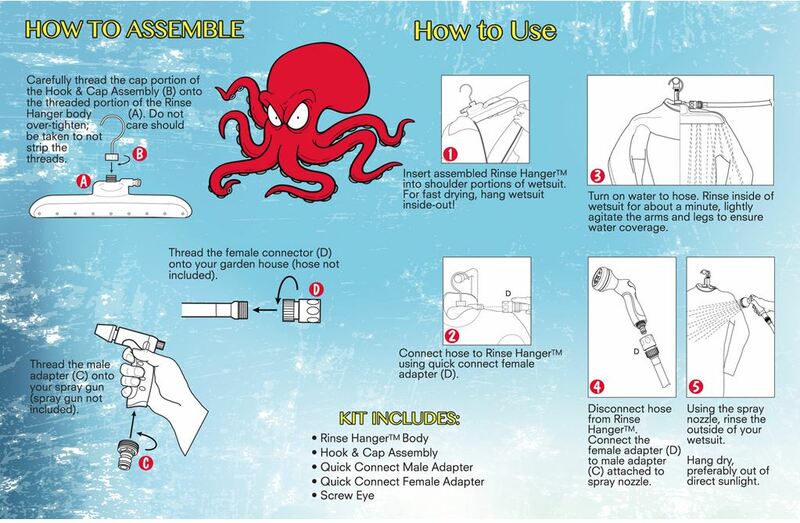 Hang, Rinse, Dry.